This is the best gift with great inspirational women you can give to anyone you love. Inspire everyone with Never again royal night. Order your copy and donate to Girl Child Network Worldwide and The Power of Business Networking. Click the Donate button below and make a donation payment for your copy. Set in a small village hotel in Purfleet; Thurrock in Essex, United Kingdom, Never Again Royal Night is a film on multi global award winner gender activist Muzvare Betty Makoni launching her raw story, Never again, not to any woman or girl again. Something stands out: The women are dressed in royal purple bringing out their startling beauty, mysterious characters and faces of women who experienced it all but refused to be victims and now declaring their victory. The room is filled with energy, vibrancy and one is thrown into a world of mostly African women, one which they have created for themselves and rising to extend their generosity through a fundraiser. Opening with a royal guest interview on domestic violence is the gorgeous young business woman and Founder of Face of the Globe Zimbabwe, UK. Linda Satimburwa breaks into tears and declares Never again and exposes domestic violence as a genocide ignored round the world. Renowned young woman activist Stephanie Chiyangwa through her forgiveness eulogy and metaphorical story wants the perpetrator released from her. Then Her Royal Highness Princess Deun Adodyin- Solarin reinstalls the royalty of African women in a symbolic gesture and declares Betty Makoni Mother of Princesses. Drums and the deepest of all African eulogy that no ordinary person can translate sends the guests dancing and ululating. But not until readers of the selected chapters of the book take to the stage each reading most favourite chapters and thereby unveiling their unwritten stories. The story gets to a pick with Demetria Karonga featuring a UK film version of Betty Makoni`s Never Again Chapter One of the book. There is tensity and dead silence in the room and now that must be the final breaking down of the last traces of pain in all the guests. Yet the Director of the Program, Pauline Long tries her best to hold all emotions intact. But can she do that to the end? This is a film that happened overnight where one book opened many unwritten books. But what did they do and say and who was there and why? Never again is the new story. Never again is the new movement. Never again is one personal victory. No one is born victim. We are all victorious. A story of women and men who feel they are victorious and through Royal Night they can inspire millions round the world. 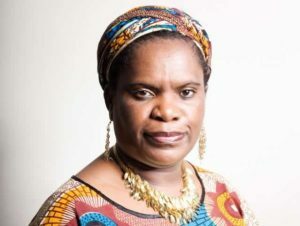 Muzvare Betty Makoni embarked on a documentary project to further awareness for her cause. Tapestries of Hope is a feature-length film exposing a widely-held virgin cleansing myth that if a man rapes a virgin, he will be cured of HIV/AIDS. The documentary focuses on the work of Makoni and the Girl Child Network to protect and re-empower girls who have been victimized through sexual abuse.